Born in 1937, Tunis. He lives and works in Tunisia. (Department of Oriental Antiquities). He pursued his academic training in Paris, at the Cite Internationale des Arts, on a scholarship from the Tunisian Government. He’s one of Tunisia’s leading artists and a notable Arab contemporary artist. 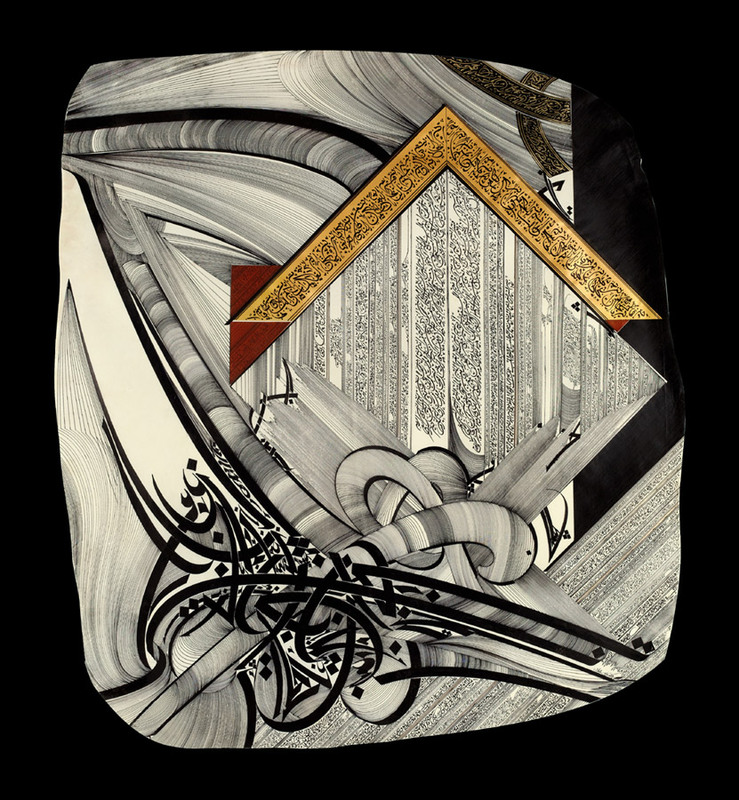 His work inspired by Arabic calligraphy is remarkably innovative as the aesthetic dimension of letters brings forth a sense of the poetic – highly rhythmic – arresting us with its rich abstracts compositions. Famous for his meticulous work in ink on parchment, Mahdaoui stresses the visual impact of his compositions, devoided of actual textual meaning, which he refers to as ‘calligrams’ or ‘graphemes’. Nja has been Jury member and Honor guest at many international events and biennales (Sharjah International Arabic Calligraphy Biennial, UAE, 2006, The International Arts Biennial of Tehran, Iran, 2006, Abu Dhabi Art Festival in 1989…) and he was member of the International Jury of the Arts Prize of UNESCO from 1993 to 1995.